John Williams should need little introduction since he is almost certainly the most well-known film composer, and possibly to many people the best-known composer, period. He was born in New York where his father Johnny Williams was a percussist and the young John started piano lessons from age 7. When the family moved to the West coast, his father found session work playing on film soundtracks so it was quite a natural thing for John to start out with similar work as a freelance pianist. During the Golden Age of Hollywood Cinema, he worked as a pianist and arranger with film music luminaries such as Alfred Newman, Franz Waxman, Bernard Herrmann, and later Henry Mancini. With such exposure to the industry, and the encouragement of Newman in particular, Williams made the transition into composition. Among his early work as a composer were the television shows of Irwin Allen such as "Lost in Space", "Time Tunnel" and "Land of the Giants". He then composed for a variety of films including "The Reivers", "The Cowboys" and some popular disaster movies including "The Poseidon Adventure" and "The Towering Inferno". One particular early success was his first Oscar (of five currently) for his adaptation of Jerry Bock's music for the stage musical "Fiddler on the Roof". Williams also conducted and provided the incidental music for the film, and the part of the fiddler himself was played by violinist Isaac Stern. Williams was already establishing a respected position for himself in Hollywood, when his career was to reach an important turning point. Stephen Spielberg was starting out in the movie business and approached Williams to score his early movies. In quick succession this led to Williams' second oscar for Jaws and his introduction to George Lucas who then hired him for his Star Wars saga leading to his third oscar. 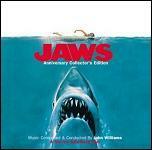 This succession of events rapidly established John Williams as one of the foremost film composers of the day. The close relationship with Steven Spielberg and the director's own meteoric career meant that he was the composer for many major films of the period, including "Close Encounters of the Third Kind", "Superman", "E.T." 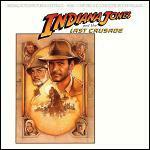 (winning oscar number four) and the Indiana Jones movies. Williams' music is firmly from the classical tradition, based heavily on the style of the late-romantics such as Gustav Mahler and Richard Strauss. 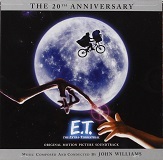 It has at times some modernistic overtones (such as with Close Encounters of the third kind), yet primarily it is just wholesome music full of good memorable tunes with fanfares and fun marches particularly prominent. Williams is rightly well-regarded for his ability to construct a tune and sound which perfectly complements the mood of a film. An interesting documentary about John Williams' film music has appeared on youtube, made during the making of "The Empire Strikes Back" but including many clips from his films and comments from Lucas and Spielberg. The documentary is in 6 parts - start here with part 1 of Star Wars Music by John Williams and follow the links to related videos to see the other parts. Here is the 1st part of a later documentary where the composer talks about the scoring for "The Phantom Menace". Although the relationship with Spielberg was obviously central to his career in Hollywood, it can also be seen as perhaps limiting musically, since most of his movies belonged to a narrow range of family fantasy and adventure stories. However that limitation was not significant in the longer term. Firstly, both director and composer have not always shared an exclusive relationship. 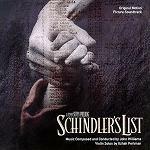 Spielberg chose Quincy Jones to score his "The Colour Purple" for example, and John Williams for his part has worked with a number of different directors. Irwin Allen and George Lucas have been mentioned already and, outside this circle, Williams also scored The Witches of Eastwick (for George Miller), "J.F.K." 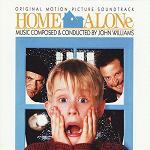 (Oliver Stone), "Home Alone" (Chris Columbus) and many others. The other factor that impacted the type of movie he worked on, was that Spielberg himself sought to broaden his range of movie genres with films such as "Empire of the Sun", "Schindler's List" (Williams winning his fifth oscar), "Saving Private Ryan", "Amistad" and most recently "Minority Report". For a time Williams was conductor of the Boston Pops Orchestra, and he has written several classical concert pieces. As America's best-known composer, he as also been commissioned to compose works for some big events such as the Olympics and the unveiling of the Statue of Liberty. Several of these works can be found on album collections of Williams' music. 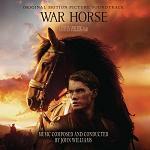 In the realm of film music, it seems as though Williams will always be very much in demand. In recent years he has been scoring the three "Star Wars" prequels, "The Patriot", the various "Harry Potter" films, the jazzy retro-sounding "Catch Me If You Can", and for Steven Spielberg, "AI" and "Minority Report". The latter film has an exciting soundtrack by Williams and also features Schubert's Unfinished Symphony during the "conducting" scenes - surely a joke from the Music Supervisor since the crimes detected by the precogs have not happened yet and will be stopped in the nick of time by the police! One point to note that is frequently mis-quoted even in reference books, is that John Williams the composer had no involvement with the "Deer Hunter", though John Williams the guitarist played the theme tune "Cavatina" by Stanley Myers, later to have lyrics added and sung by Cleo Laine. John Williams has recently re-crafted his Star Wars music from all six films to fit a show called "STAR WARS: A Musical Journey". This is a live two-hour musical event with the Royal Philharmonic Orchestra and chorus, with scenes from the movies and live narration. The show started in London's "O2 arena" (previously called the Millennium Dome) in April 2009 before going on tour across Europe. The venues hosted an exhibition of models, props, costumes and artwork from the Lucasfilm Archives. Here is the Maestro conducting the world premiere of his piece called Soundings commissioned for the opening of the new Walt Disney Concert Hall in Los Angeles in 2003. The composer's goal was to make the hall sing, and he certainly does that! See also our review of the new boxset Indiana Jones: The Soundtracks Collection which explores the most complete versions of these film scores so far released, and the show Star Wars in Concert. 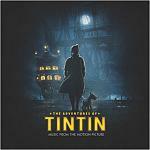 It's a long time since we heard a completely new film score by John Williams, but The Adventures of Tintin: The Secret of the Unicorn is now on general release in various parts of the world. Steven Spielberg worked with Peter Jackson on the movie, and yet again Andy Serkis gets involved in motion capture to create the character of Captain Haddock. The story involves Tintin and his friends finding directions to a sunken ship which was commanded by one of Haddock's ancestors, so they go off on a treasure hunt. Regular Williams collaborator Conrad Pope returns for orchestration duties, and the soundtrack CD is available now at amazon.co.uk and amazon.com. Tintin has been very quickly followed up by War Horse and then Lincoln. So after a gap of a few years, we have now been treated to 3 major and yet very different films from the partnership. Now with a different director we have Star Wars: The Force Awakens revisiting some themes from almost 40 years ago plus introducing a whole host of new ones for the younger generation. Sugarland Express - his first film collaboration with Steven Spielberg, who had previously worked with the composer Billy Goldenberg on several TV series and the film "Duel"
1941 - includes another march and also borrows the Jaws theme for a rising submarine! The Witches of Eastwick - devilishly good! Harry Potter and the Philosopher's Stone (and sequels "Chamber of Secrets" and "Prisoner of Azkaban") - magical and exhilarating with the third being a touch darker and more adult, see Patrick Doyle for "Goblet of Fire"
Jurassic World - in the score Michael Giacchino used elements of Williams' themes for the original "Jurassic Park"
The Post - for Steven Spielberg, and the DVD has a special feature called "Music for the Post"
Checkmate - an effective theme and incidental music for one of his first TV Series when Williams was still known as "Johnny"
Many John Williams soundtracks are available, though there are also many CDs featuring "best of" compilations such as "Filmworks" or John Williams conducting the Boston Pops Orchestra in his film music. There are also a large selection of sheet music available for piano and other instruments, and there is also a John Williams web-site which is well worth a visit. In terms of sheet music, John Williams is better served than almost any other film composer and any supplier should have a number of titles available. 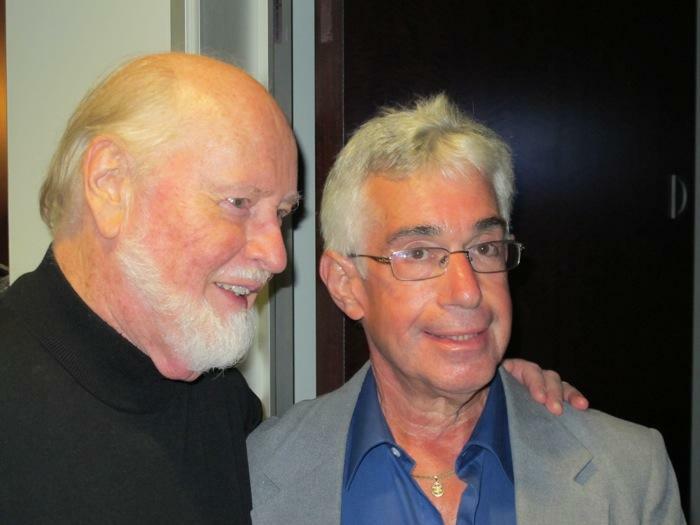 Writer Steve Vertlieb has kindly given us permission to publish this report and photographs of the occasion in 2010 when he met John Williams. I knew Miklos Rozsa as a friend for nearly thirty years. Since his passing I've grown very close to his daughter Juliet and the Rozsa family. On Saturday night, August 28th, following the concert at The Hollywood Bowl, I was invited by Juliet to join her back stage at the Bowl to meet my last living hero. I got to meet Maestro Williams and chat with him for a couple of minutes. He was very kind and gracious. It was truly one of the greatest moments of my entire life. I just returned from my first vacation in nearly ten years, and my first "out of mind and body" sojourn since major open heart surgery an unimaginable six months ago. I went to visit my little brother Erwin in Los Angeles. The trip was absolutely amazing. I simply couldn't have written a more fulfilling scenario for the trip, and I couldn't possibly be happier. On my second day there I was interviewed at length on camera by documentary film maker Paul Davids ("The Sci-Fi Boys") for a new film about Forry Ackerman. I shared a delightful evening with director Jim Wynorski, producer Steve Mitchell (the new "Thriller" dvd), and Ron Borst at the latter's astonishing museum and home. I went to the stunning Ray Harryhausen artifact exhibit at The Academy Of Motion Picture Arts And Sciences. I enjoyed a wonderful two and a half hour reunion over numerous cups of coffee with Emmy nominated actor Paul Clemens ("The Beast Within" and "Quincy"). Had several enormously entertaining evenings at the home of attorney Les Zador. 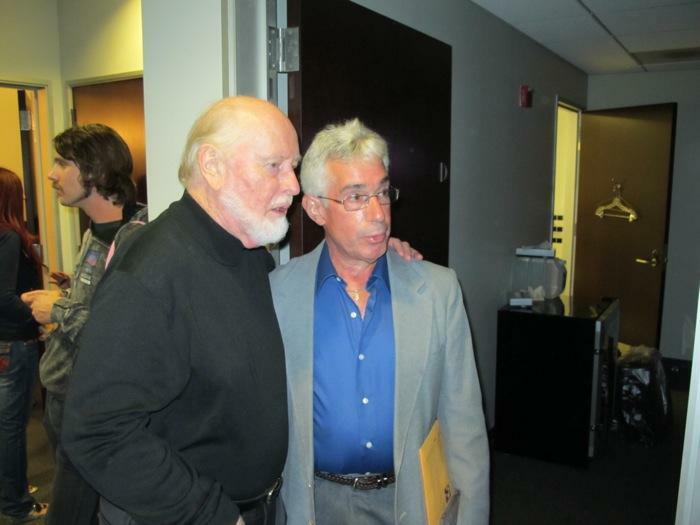 (Les is the wondrously giving and generous son of famed classical composer Eugene Zador, and one of the founders of California's Film Music Society.) Had a barbecue in Beverly Hills at the home of Juliet Rozsa. Went both to Disneyland and Universal, and rode the colossal new "King Kong 3-D experience." Had a delightful ninety minute lunch date with Emmy winning composer Lee Holdridge ("Beauty And The Beast" series for CBS). Shared a four hour evening over dinner with famed stop motion special effects genius and painter Jim Danforth, along with his lovely wife, Karen. Spent a memorable hour, one on one, with one of the most important literary voices of the twentieth century, Ray Bradbury, in the quiet confines of his den at home...and...during one of the most exciting nights of my entire life...I attended the brilliant John Williams film music concert at The Hollywood Bowl on Saturday evening, August 28th. After the completely sold out concert performance ended, I was privileged to fullfill a dream of fifty years duration. 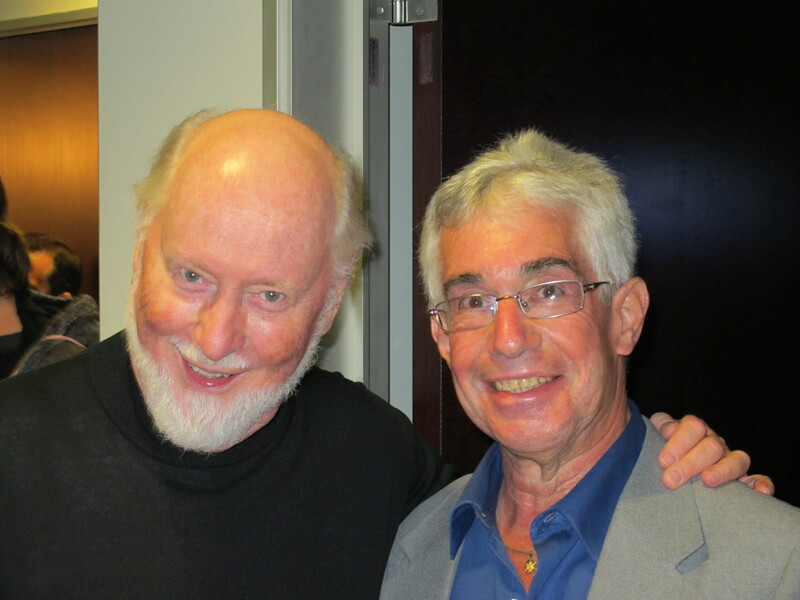 Juliet Rozsa (Miklos Rozsa's daughter) invited me to join her and her party back stage at The Bowl in order to meet my last living hero, John Williams. I damn near cried when I saw him standing there by the dressing rooms. I spoke with him for a couple of minutes. He was very cultured, gracious, and kind. He put his arm around me and, happily, posed for a battery of pictures. We had gone the morning before to The Bowl to watch the open rehearsals with Williams and The Los Angeles Philharmonic, but this personal audience with filmdom's most legendary and universally popular composer will stand always in my heart as one of the most wondrous, rewarding, and exciting moments of my life. Miklos Rozsa's granddaughter, Nicchi, said that she had never seen me looking happier. I couldn't have wished for a more wonderful vacation. Time passed in a scenic whirlwind, but will forever occupy a special, honored place in my heart.